When you're coming up as a jazz pianist it's often difficult to find guys to play with so you can practice trio music. The Aebersold collection of play along CDs and books are an invaluable resource for not only learning the nuances of comping (the piano is in one track, you can play along and then turn it down) but also learning how to improvise over the chord changes of almost every jazz standard there is. 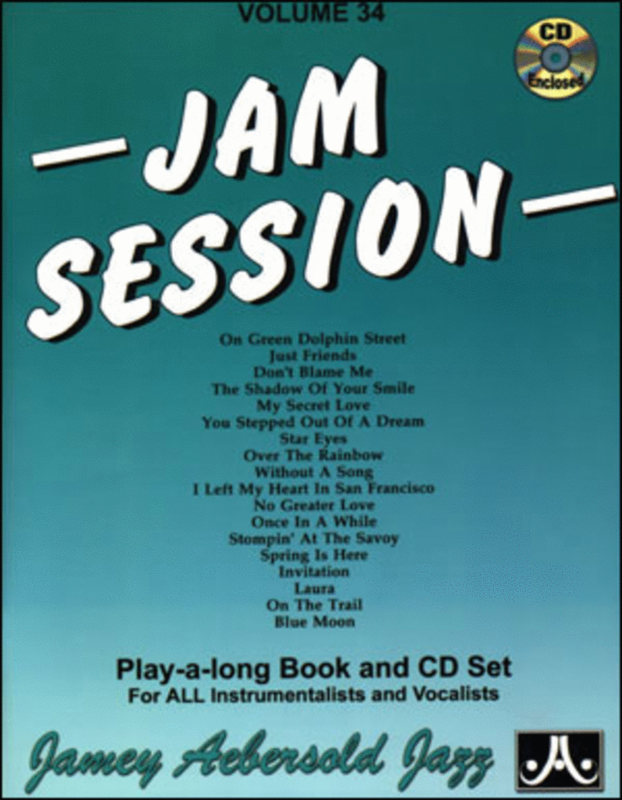 For the beginning and intermediate player who isn't quite ready or old enough to hit the pro jam sessions at clubs around town, these books will prepare you to play with the pros. Practice note: The one downside to these books is that the rhythm section obviously does not respond to your playing. Do not get into the habit of just playing a bunch of notes that fit without listening to the bass and drums. Make sure you try to respond and play with all the nuances and hits they give you because if you don't, you will play foolishly on stage when you're with real people. Make sure you gather your jazz friends together every once in a while to get live musician experience or what will happen is you will be one of those robot players who ignores the people around you and just plays notes. This you do not want. With that said, these books and CDs are the best tools for learning tunes and learning how to play over them.